ExtJS 5 – Exmerg is SPA created using ExtJS 5 framework, therefore everything you see on the picture (except red-marked credit card form) was designed using this framework. Handle paymentMethodNonceReceived callback to submit the payment method nonce to your backend. This method will be called when customer successfully fills out and submits the form. 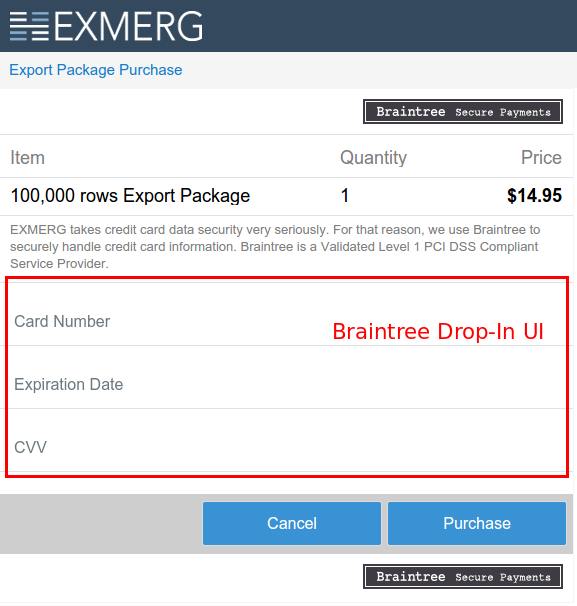 Finally, add Braintree badge to increase customer’s confidence in filling out the form.